The dental field is growing at a rapid pace and so are the number of opportunities associated with it. There are different career options in this sector namely, dental hygiene, dental assisting, and dental laboratory technology. To be a successful dental professional, an individual must possess the necessary educational background, have readiness to persevere and good concentration levels. In order to demonstrate you have all the required traits to an employer, you will have to write a concise resume as per the profile. A dental assistant can work in different environments to support the senior dentists, and is usually responsible for performing a variety of duties. This includes assisting in dental surgeries, sterilizing the instruments, handling administrative records, taking dental x-rays, advising patients on the necessary dental care to be taken after the treatment. Whenever you are applying for any profile, a clear and concise resume can assist in making a lasting impression on an employer. This is going to be your selling tool and hence, must include all points that demonstrate your suitability for the role. Write your resume by including the following sections and for further assistance, you can always refer to the samples present on our site. When you are writing a resume, the ultimate goal is to sell yourself. So, when the recruiter wants to contact you for a preliminary telephonic round, it should not be that he has to scour for the details. Write your basic information upfront on the first page of the document with a clear and legible font. Furthermore, along with the name, you can also include the acronym of degree or a dentistry certification. Include a professional email ID, and correct contact number so that the hiring manager can easily get in touch. The employer is going to glance at your document for just a few seconds and hence, it is necessary to make those seconds count. To make the most impact, you can write a focused job objective or career summary depending on the role or experience. This section must include maximum 2-3 sentences, stressing on your capabilities, and remarkable achievements. It defines the kind of employment you are seeking based on your skill set, knowledge, and experience. Dentists who have studied similar kind of courses with same syllabus will have gained the same knowledge. Employers want to know what makes a particular candidate different from others. In this section, you have a chance to prove why you fit the bill, and are better than others. Apart from the dentistry skills, you can also include your management and administration capabilities. Employers look for problem solvers and solution providers. If you have successfully handled unanticipated problems, include them in your resume. Furthermore, you can also include skills like computer proficiency and ability to work in a team in this document. Writing your previous employment history gives a fair idea to an interviewer about the kind of work you have done. If you have a considerable experience in a particular dental role, describe your achievements. While mentioning the work background, write the information in bullet points using appropriate action verbs. This section must not look like a list of daily duties. Instead, use quantitative phrases to tell the prospective employers about the number of dental patients handled in a day. You should focus on including points related to the number of surgeries performed, or highlight cases related to root canal, tooth decay treatment, or removal of tartar/plaque. Even if these are peculiar responsibilities of a dentist, writing it with numbers for the handled cases can make a big difference. Incorporating the right keywords can make you stand apart from other applications. When you have nil or little experience in this field, writing a strong resume can look like a difficult task. Mostly, if you are a student who has just completed a degree or certification program, and have no idea what to do next, this could become a big question mark. Mentioning an apprenticeship program or intern role can help in strengthening your employable value. It shows that you have worked in similar backgrounds, and are well aware of the duties involved. Add a separate section to mention your educational degrees. While writing complete details is not expected, you can include name of the exam, and date you passed it. Mention your degree name, university or college you have obtained it from, and the year of graduation. In this section, you can also include additional certifications, and the dental licenses obtained. Getting associated with professional groups, you can stay updated about the ongoing research being made in the dental field. Furthermore, individuals who have some experience can also write about exceptional achievements, professional honors, and rewards to highlight their expertise for the specific role. After completing your resume, proofread it a good number of times to edit, and create a final version. 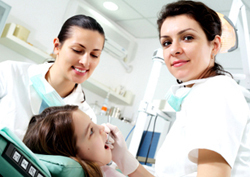 The dental assistant resume must be tailored as per the job profile and must be error-free. Check the document for grammatical errors, punctuation, and spelling mistakes. You can also give it to a third person who might point out mistakes overlooked by you. Whether you are a fresher or an experienced professional in any domain, writing a resume always seems to be an intimidating task. In addition to this, you are expected to limit the skill set, formal experience and qualifications all in one or two pages which makes it even more difficult. However, with our guidelines and samples, you can easily draft a winning dental assistant resume, and make great strides in your career.